Wow! Way to turn the box around. I'm so glad you liked it. I read your post on the dishcloth swap questionnaire and tried to keep it in mind when I packed the box. And Bella is amazing, making such a nice mess in so timely a manner. Wow! That was fast! 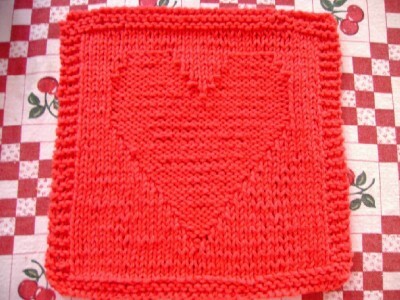 Time to put the rest of my kntting aside and limber up my dishcloth skills. 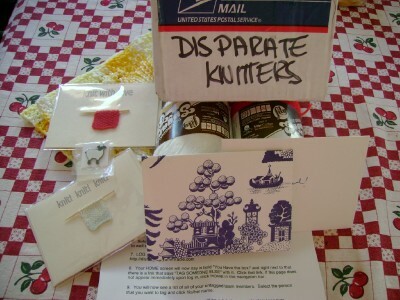 Looks like you got a great swap box, lots of lovely things and I'm impressed with your turning that tag box around so fast (although I think you are a much faster knitter than you give yourself credit for!) 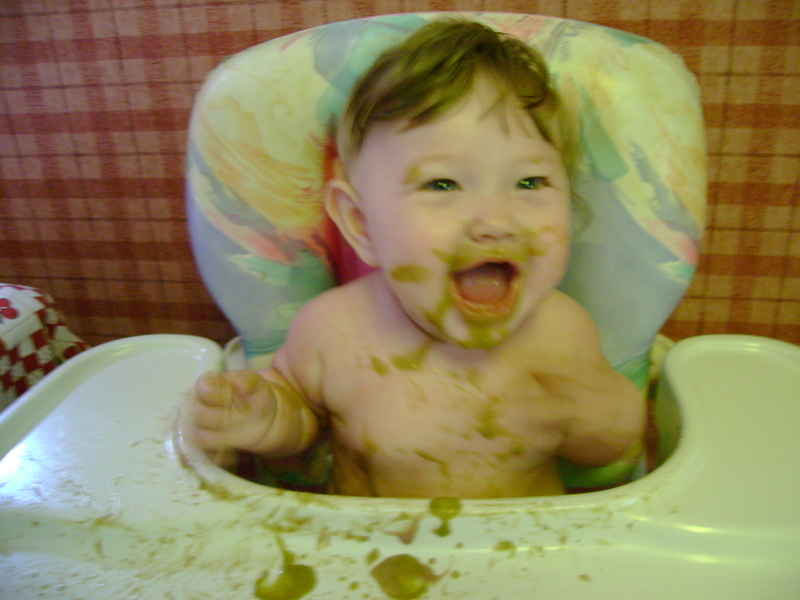 LOVE the shot of Bella with the peas--did any of it actually make it to her stomach?? 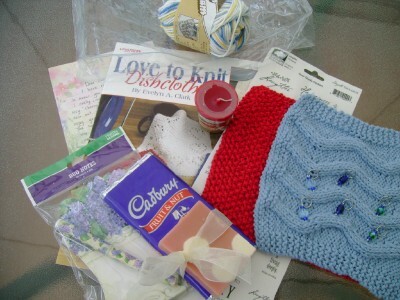 Love your exchange package. What a great partner you had! Love your dishcloth race package too. But absolutely love Bella the pea covered baby. Priceless!